The latest research paper arising from work supported under our Oxford-Sylva Graduate Scholarship has been published. 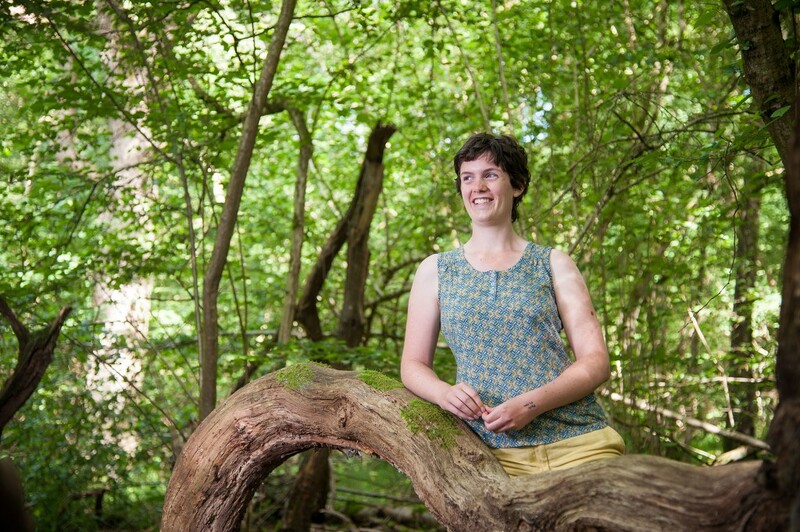 Our scholar Dr Louise Hill, who successfully defended her DPhil thesis earlier this year, researched the ecological consequences of ash dieback disease in Great Britain. The paper is the second peer-reviewed output arising from her work, while one more is in the pipeline which considers the financial impacts of the disease. Hill, L, G Hemery, A Hector, and N Brown. 2018. “Maintaining Ecosystem Properties after Loss of Ash in Great Britain.” Journal of Applied Ecology 00: 1–12. https://doi.org/10.1111/1365-2664.13255. Acute outbreaks of pests and disease are increasingly affecting tree populations around the world, causing widespread ecological effects. In Britain, ash dieback Hymenoscyphus fraxineus (Baral et al.) has severe impacts on common ash (Fraxinus excelsior L.) populations, and the emerald ash borer (Agrilus planipennis Fairmaire) is likely to add to the impact in future. This will cause significant changes to the character and functioning of many ecosystems. However, the nature of these changes and the best approach for conserving ecosystems after ash loss are not clear. We present a method to locate those areas most ecologically vulnerable to loss of a major tree species (common ash) and identify the resultant damage to distinctive ecosystem properties. This method uses the functional traits of species and their distributions to map the potential degree of change in traits across space and recommend management approaches to reduce the change. An analytic hierarchy process is used to score traits according to ecological importance. 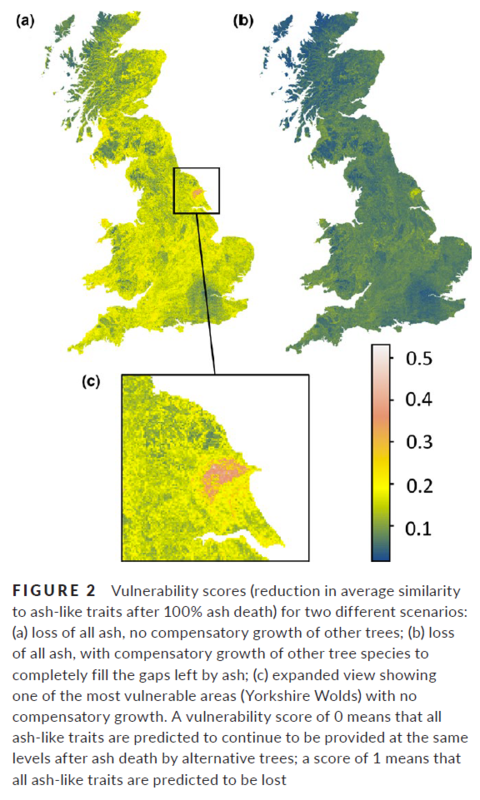 Our results indicate that in some areas of Britain, provision of ash‐associated traits could be reduced by over 50% if all ash is lost. Certain woodland types, and trees outside woodlands, may be especially vulnerable to ash loss. However, compensatory growth by other species could halve this impact in the longer term. We offer management guidance for reducing ecosystem vulnerability to ash loss, including recommending appropriate alternative tree species to encourage through planting or management in particular areas and woodland types. Synthesis and applications. The method described in this paper allows spatially explicit assessment of species traits to be used in the restoration of ecosystems for the first time. We offer practical recommendations for the ash dieback outbreak in Britain to help conserve functional traits in ecosystems affected by the loss of ash. This technique is widely applicable to a range of restoration and conservation scenarios and represents a step forward in the use of functional traits in conservation. Hill, L, A Hector, G Hemery, S Smart, M Tanadini, and N Brown. 2017. 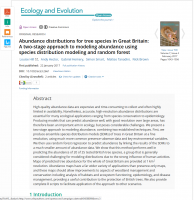 “Abundance Distributions for Tree Species in Great Britain: A Two-Stage Approach to Modeling Abundance Using Species Distribution Modeling and Random Forest.” Ecology and Evolution 7 (4): 1043–56. https://doi.org/10.1002/ece3.2661. The Oxford-Sylva scholarship is one of the Sylva Foundation’s current fundraising campaigns – read more – and our wish is that we can secure the scholarship in full and in perpetuity. If you are interested in finding out more about the scholarship, you can read more about the Oxford-Sylva scholarship or contact us. Congratulations to Dr Kirsty Monk, our first Oxford-Sylva scholar (2010-14), who passed her DPhil viva voce last week! 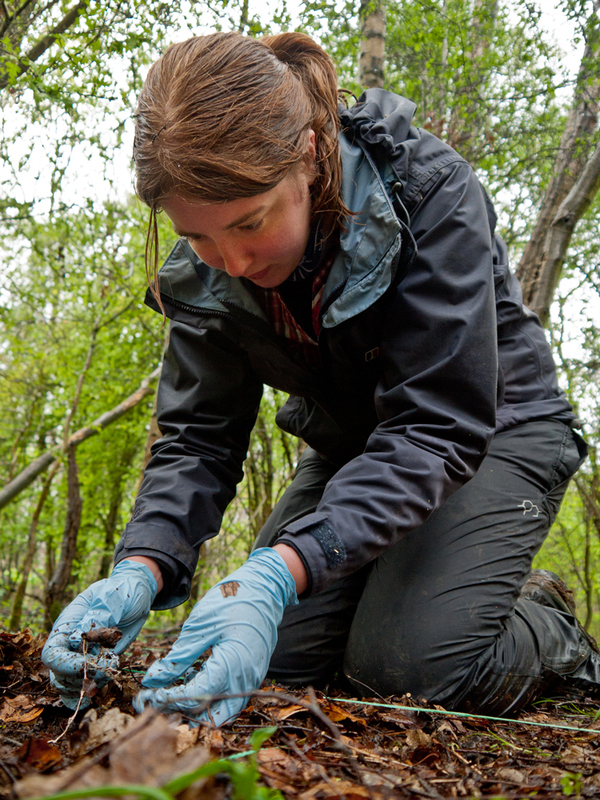 Kirsty studied the role of cord-forming fungi in British woodlands at the Department of Plant Sciences, University of Oxford, and has since started pursuing a career as a science teacher. We will make available the full thesis in the near future. We are currently fundraising towards the Oxford-Sylva scholarship. If you are interested in finding out more about the scholarship, and how you may be able to support it, please click here. Ensuring forests are resilient is a key part of the mission of the Sylva Foundation, which is why we invest in promoting and conducting research on sustainable forest management. Together with the University of Oxford, we are keen to raise funds to support more scholars of the highest calibre. Currently we meet the costs of the scholarship from our own core funds but this is sustainable only in the medium term. Our aim is work with other donors to secure the scholarship in perpetuity. We welcome expressions of interest from individuals or companies who would like to find out more about the scholarship and how they could support it. Our thanks to Oxford Thinking for permission to feature the interview, and to John Cairns for the photograph. The James Cup is presented by the Royal Forestry Society annually to the author of the best original article for the year in the Quarterly Journal of Forestry in memory of NDG James, a distinguished forester and former President of the RFS. A panel of RFS members judges the award and the winning article for 2013 is “Cord-Forming Fungi in British Woodlands”, written by Sylva Scholar Kirsty Monk, a final year DPhil student at the Department of Plant Sciences, University of Oxford, and Gabriel Hemery, chief executive of the Sylva Foundation. The article investigates the ecology, diversity and distribution of cord-forming fungi in Great Britain, and was published in the July 2013 issue. Our second Sylva Scholar has started her research at the Department of Plant Sciences, University of Oxford, funded partly by the Sylva Scholarship. 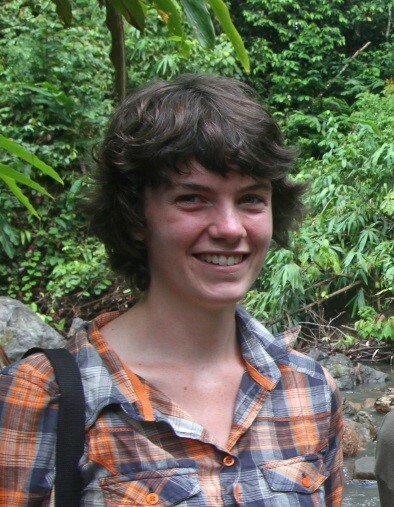 Louise Hill, who was an undergraduate at Oxford before completing an MSc in Applied Ecology and Conservation at the University of East Anglia, has returned to Oxford undertake a DPhil research project studying the Ecosystem consequences of ash dieback. Louise has worked previously as an assistant reserve warden for the National Trust at Wicken Fen NNR in Cambridgeshire. She has also carried out a five month research project in Malaysian Borneo investigating the effects of rainforest logging on the parasite loads of Bornean birds. Ash Dieback, caused by the fungal agent Chalara fraxinea, is an emerging lethal disease of ash trees (Fraxinus excelsior) which is threatening ash survival in many parts of Europe. In Denmark, for instance, which saw its first observed case in 2002, up to 90% of the entire ash population has become infected. The disease was first found in Britain in February 2012 and current estimates suggest that subsequent spread may affect between 90% and 99% of all British ash trees. The current distribution of ash (Fraxinus excelsior) in the UK and its likely ecological roles. Changes in biotic and abiotic conditions within ash-dominated woodlands before, during and after infection with Chalara fraxinea. The ecosystem consequences of losing 90% to 99% of ash trees, particularly with regard to landscape connectivity. The high percentage of ash in hedgerow corridors between forest habitats may be among the most important ecological roles of ash in the UK. Synergistic effects on biodiversity of co-occurrence with other major tree diseases, including Oak Decline and Chestnut Bleeding Canker. The Sylva Scholarship was launched in Autumn 2010 in partnership with the Department of Plant Sciences, University of Oxford. The theme of the scholarship is healthy trees and productive forests. Sylva is keen to raise sufficient funds to secure the scholarship in perpituity – read more about our fundraising campaign. Sylva scholar Kirsty Monk, has co-authored a paper published in the Royal Forestry Society‘s journal this month. It describes the role and importance of the lesser known group of ecosystem engineers in British woodlands; cord-forming fungi. With fellow author Gabriel Hemery, they examine the extent of our fungal knowledge and discuss their implications for forestry in the future. Monk, K. and Hemery, G. (2013). Cord-forming fungi in British woodlands: what they are and what they do. Quarterly Journal of Forestry, 107, 3, 197-202. 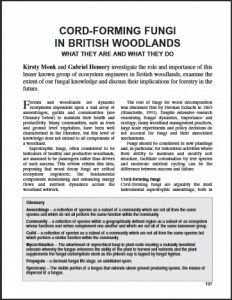 The article is freely available to download from the Forestry Horizons library, with kind permission of the Royal Forestry Society.